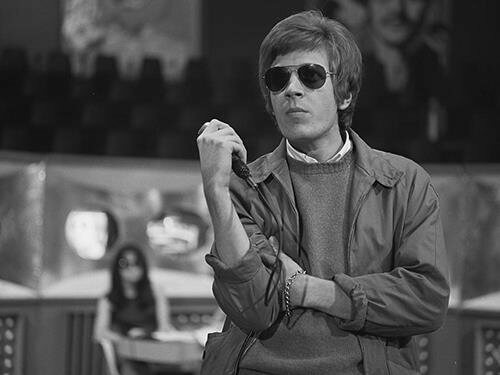 Experimental pop/rock icon Scott Walker has died, according to his longtime label, 4AD. He was 76. “We are honoured to have worked with Scott for the last 15 years of his life,” the label wrote. Born Noel Scott Engel in 1943, the artist changed his name when he joined The Walker Brothers, who shot to fame in the 60s off the success of songs like The Sun Ain’t Gonna Shine Anymore. But Walker, unsuited for the mainstream pop spotlight, left the band at its commercial peak. He released the critically acclaimed records Scott, Scott 2, Scott 3 and Scott 4 as a solo artist, then withdrew from the public eye, only returning for The Walker Brothers’ last album, 1978’s Nite Flights. Walker then began to release more solo material, compose for film and collaborate with myriad artists, developing a canon regarded for its experimentalism and lyricism. He produced Pulp’s We Love Life, dueted with Natasha Khan of Bat For Lashes and recorded the album Soused with the drone metal band Sunn O))), among other notable collaborations. His last work was the score for the 2018 film Vox Lux. Walker is survived by his daughter Lee, his granddaughter Emmi-Lee, and his partner Beverly. No further details surrounding his passing had been revealed at press time. Read more music news here.